At TechfestNW March 24, the Oregon State University mechanical engineering professor has just finished describing a robot that’s perhaps more adroit than any other robot in the world, the first to solve a problem that’s been dogging robotics engineers since the beginnings of the field. The main problem? They always fall down. Put a pebble in their path and they biff it. If most robots were a little better at walking, they’d be drunk. But don’t take my word for it. Thanks to new research from Oregon State University, published on Friday in Behavioural Processes, there is scientific evidence that cats are, according to empirical study, nice. In fact, the study concluded, cats like interacting with humans more than they like eating food. Let that sink in: more than food. I don’t like anybody more than food. Oregon State University officials are investigating fliers, posters and stickers found on campus Thursday that reportedly promote white nationalism, racism and xenophobia. Rainy as it is, spring has sprung and that means gardening will start ramping up. Got questions? Get answers from Ask an Expert, an online question-and-answer tool from Oregon State University’s Extension Service. All this explains why mid-valley arts leaders such as Cynthia Spencer of The Arts Center in Corvallis and Lee Ann Garrison at Oregon State University lately have been making the case for arts in terms of their economic impact. Spring Preview: An open house program for prospective students will be in the Memorial Union and CH2M HILL Alumni Center on Monday, March 27. 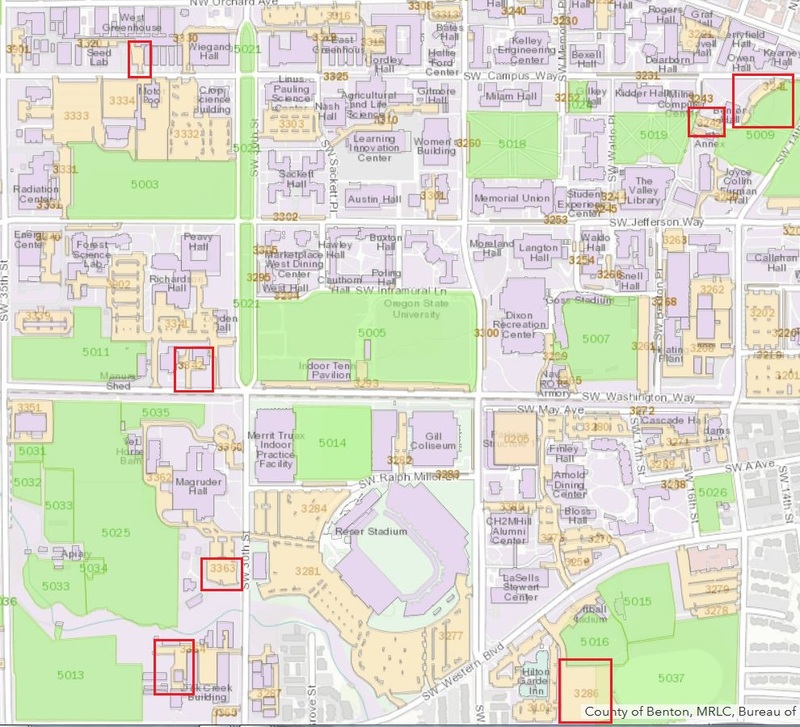 There will be approximately 900 visitors on campus, which may affect parking and retail food locations. Please welcome visitors you interact with during their time on campus. Tuesday Teaching Talks: Spring into a fresh start of this series! Whether you have already participated in some, none, or all the talks you are welcome to join colleagues and the Center for Teaching and Learning (CTL) in these teaching workshops. Certificates are provided to those who complete at least eight sessions. The series begins March 28 with a focus on Preparing to Teach. Consider what syllabi and teaching philosophies communicate to students about the teacher, course, and content. If available, please bring a copy of your syllabus and teaching philosophy with you. This 90-minute workshop will be facilitated twice in Milam 215 at 10 a.m. & 2 p.m. No need to register – just come on by. Learn more here. Contact us here. OSUsed Store Public Sales: The OSUsed Store is open for its weekly public sales Tuesday 5:30 p.m. to 7:30 p.m. and Friday noon to 3 p.m. at 644 SW 13th. Personal purchases must be made during public sales. Staff may shop for their department 8 a.m. to 5 p.m. Mondays through Thursdays. More information on our website. NEW! Retirement Reception for Ross Jackson: Enterprise Computing Services (ECS) invites you to a reception honoring Ross Jackson who is retiring after 30+ years of service with OSU and OSSHE. The reception will be held on Friday, March 31, from 3 p.m. to 5 p.m., Milam Hall, Hawthorne Conference Room (119). NEW! RecycleMania in final week: RecycleMania – a recycling competition between universities – is running through April 1. Help OSU compete – and catch up to UO who is currently ahead – by recycling, composting and reducing trash! Tip: If you have a green deskside bin, empty it into your building’s recycling bins so it counts for the competition! NEW! Bring Your Kids to Campus Day will be taking place on April 14. In coordination with the national Take Our Daughters & Sons to Work Day, Bring Your Kids to Campus Day is designed with the idea to help promote the value of a college education as well as share with our children the fun and exciting place where we are fortunate to work and attend classes. This year’s schedule is packed with even more fun activities that you won’t want to miss! To view a schedule of the day visit http://childcare.oregonstate.edu/byktcd and register for the day! For questions contact erika.woosley@oregonstate.edu or call us at 541-737-4906. NEW! University Outreach and Engagement Vice Provost Awards of Excellence celebration and luncheon: Outreach and engagement is an essential element of OSU’s land grant mission. Learn about 15 award-winning projects involving nine colleges and six campus units; many project teams include OSU students. The event is April 17, 11:30 a.m. – 1:30 p.m., CH2M Hill Alumni Center. Lunch is $20. Register now. Save the Date! President Edward J. Ray invites you to join him in welcoming Edward Feser, OSU’s new Provost and Executive Vice President, at a reception for the campus community. Enjoy free food and drink while you meet the Provost on Friday, April 7 from 3:30-5 p.m. in the Memorial Union lounge. For questions, contact events@oregonstate.edu or 541-737-4717. Pet Day and Fun Run: The OSU College of Veterinary Medicine is hosting their annual Pet Day and 5K Fun Run May 6. Register before April 18 and get a free t-shirt (or purchase one at the race). For more information go to getmeregistered.com/OSUPetDay5K. Registration is $20. Check-in time is 7:30-9 a.m. Dogs (on leash) are welcome. NEW! Tuesday Teaching Talks: Whether you have already participated in some, none, or all the talks you are welcome to join colleagues and the Center for Teaching and Learning (CTL) in these teaching workshops. Certificates are provided to those who complete at least eight sessions. On April 4, we will focus on Creating a Climate Conducive to Learning. This 90-minute workshop will be facilitated twice in Milam 215 at 10 & 2. No need to register – just come on by! Learn more here. Contact us here. NEW! The North American Truffling Society meeting: Speaker will be Dan Luoma, Assistant Professor, Senior Research Department of Forest Ecosystems and Society, Oregon State University. He will present “Plants that Eat Truffles for Lunch,” describing the fascinating interactions between forest plants and their associated mushroom and truffle fungi. Dan will give special attention to those plants without chlorophyll that depend on truffle forming fungi to meet their nutritional needs. Tuesday, April 4, 7:30 p.m. Cordley Hall, Room 2087. NEW! Public health course in Portland: The College of Public Health and Human Sciences is offering the public and OSU alumni a new course titled Certified Northwest: A Course in Public Health. It will be taught by college faculty and will highlight public health issues important for all Oregonians, such as disaster preparedness, health care policy, nutrition, cross-cultural communication and more. The course will be held from 6-7:50 p.m. April 3 through June 12 in the Collaborative Life Science Building at 2730 SW Moody Ave. in Portland. Registration ($99 with discount for OSU alumni) will be available throughout the course, which is offered via PACE. Learn more and register on PACE’s site. NEW! Teaching Triads: Join colleagues and the Center for Teaching and Learning (CTL) in this spring’s professional learning community (PLC). Teaching Triads is designed to engage trios of faculty around structured teaching observations and intellectual coaching. Through reciprocal observations, feedback, and dialogue participants collaboratively address questions, needs, and opportunities in the enhancement of teaching. The work is supportive, formative, voluntary and NOT evaluative. This hyflex PLC runs April 13 – June 15 and has live sessions on Thursdays at 12:30. This PLC is also offered to off-site teachers. Extended MOU submission date April 3. Download the MOU. NEW! Smart Cycling class, April 15 & 16: Build confidence for riding safely in traffic and performing basic bike maintenance. Two day course on campus and local streets. Fees range from $50 to $100 based on ability to pay. Several full scholarships are available for Oregon State students. Registration is through Jay Thatcher, League Cycling Instructor, silent.ride@yahoo.com or (541) 758-9333. NEW! Provost’s Lecture: FREE tickets for the April 18 Provost’s Lecture Series with Maya Lin be available to all OSU faculty, staff and students beginning Monday, March 13 at 8 a.m. If any tickets are still available, the general public can download free tickets beginning Monday, March 20 at 8 a.m. The lecture is on Tuesday, April 18 at 7:30 p.m. in the LaSells Stewart Center’s Austin Auditorium. Doors open at 6:30 p.m. Book signing following the program. To download your free ticket, visit communications.oregonstate.edu/events/maya-lin. For more information or accommodate for disabilities contact University Events at 541-737-4717 or events@oregonstate.edu. PDX Talks – Portland Certified Northwest Speakers’ Series Features OSU Faculty. In the Portland area? Check out research-driven, health-focused talks on sleep, stress, aging and more. Series begins April 3 – lock in free admission with this exclusive link. Last Chance to Register for OSU’s Accelerated HR Certification Test Preparation. Secure your Society for Human Resource Management (SHRM) certification this year with OSU’s test prep program. Register now. OSU Web Development and Coding Online Certificate Series. Gain career-ready skills in weeks with our affordable 6-8 week boot camp-style program, starting April 3. Learn more. OSU’s Popular Permaculture Design Certificate Program Returns in April. Amazing 10-week online program focuses on truly sustainable, climate-specific landscape design in both urban and rural environments – ideal for pros, homeowners and more. Learn more. OSU Project Management Boot Camp in Portland. Learn project management essentials as you work on a challenging real-world project in a team setting. Learn more. Faculty awards: The deadline for the below awards selected by the Faculty Recognition and Awards Committees has been extended to April 4. The online award forms can be accessed at the bottom of each of the individual awards description at http://senate.oregonstate.edu/individual-awards. NOTE: Regardless of the deadline indicated online, the correct submission deadline is April 4, 2017.The deadline has been extended for the following awards: Richard M. Bressler Senior Faculty Teaching Award, Faculty Innovator Award, Industry Partnering Award, International Service Award, D. Curtis Mumford Faculty Service Award, OSU Academic Advising Award, OSU Alumni Association Distinguished Professor Award, OSU Faculty Teaching Excellence Award, OSU Impact Award for Outstanding Scholarship, OSU Outreach and Engagement Award, OSU Professional Faculty Excellence Award, Outstanding Faculty Research Assistant Award, Promising Scholar Award, Dar Reese Excellence in Advising Award, Elizabeth P. Ritchie Distinguished Professor Award, and Student Learning and Success Teamwork Award. U-Engage Course Proposal Submissions: Course proposals now being accepted from academic and professional faculty to serve as instructors in one of 35 anticipated fall U-Engage courses. More information about U-Engage, including the link to the online application, shared learning outcomes, responsibilities of instructors, and support provided are available at: http://undergraduate.oregonstate.edu/asst/u-engage-course-applications. For more information, contact Spirit Brooks, spirit.brooks@oregonstate.edu. 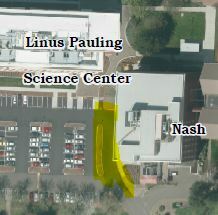 The deadline for submission extended to Monday, March 27, 8 p.m.
Nash Hall: To support a crane pick for the Nash Hall tower fan motor install along with the removal of freezers from Nash Hall, the parking lot between Linus Pauling Science Center and Nash Hall (View Map) will be impacted with a partial closure on Monday, March 27, from 7 a.m. – noon. Spring Break Central Shuttle Route: Beaver Bus shuttle operations will be limited to one bus on the Central route from Monday, March 27 to Friday, March 31. The Beaver Bus will resume regular shuttle service on Monday, April 3. Visit http://transportation.oregonstate.edu/transportation-services/osu-beaver-bus for more information. Instructor – Anatomy & Physiology. OSU-Cascades in Bend, Oregon is seeking applicants for a full-time (1.0 FTE) 9-month Anatomy & Physiology Instructor position. The successful candidate will have the important role of bringing innovative teaching practices to the Science program at OSU-Cascades. Posting # P01102UF. Closes March 27. This recruitment will be used to fill one part-time (approximately 20 hours per week) Temp Executive Support Spec 1 position for the Office of the President at Oregon State University (OSU). Posting #P00839CT. Closes March 28. Certified Veterinary Technician: The College of Veterinary Medicine’s Veterinary Teaching Hospital will begin review of applications in the University’s Veterinary Technician 2 pool for one full-time Small Animal Float Technician on March 31. Interested parties should apply to posting #P00671CT no later than midnight on March 30 for full consideration. Applicants must be Certified Veterinary Technicians to be considered. Office Specialist 2. OSU-Cascades in Bend, Oregon is seeking applicants for a full-time (1.0 FTE) Office Specialist 2 position, as a Customer Service/Admissions Specialist. Posting # P00834CT. Full consideration March 30. Closes April 6. Insurance Specialist- Office Assistant 2. Student Health Services invites applications for a full-time (1.0 FTE), 12-month Insurance Specialist. Posting # P00837CT. Closes April 3. NEW! Administrative Program Assistant. OSU-Cascades in Bend, Oregon is seeking applicants for a full-time (1.0 FTE) Admin Program Assistant position, as a Coordinator of Educational Placement. Posting # P00843CT. Full consideration April 5. Closes April 7. Outreach Program Coordinator – The Division of University Outreach and Engagement at Oregon State University is seeking an Outreach Program Coordinator. This is a part-time (.75 FTE), 12-month, fixed-term professional faculty position. The position will be located in John Day, Oregon. Reappointment will be at the discretion of the Regional Administrator for Eastern Oregon and the Extension Service Assistant Director, OSU Open Campus and Innovation. Posting# P01155UF. Closes April 9. Billing Assistant- Administrative Program Assistant. Student Health Services invites applications for a full-time (1.0 FTE), 12-month Billing Assitant. Posting #P00845CT. Closes April 10. Transfer Transitions Advisor: The Division of Undergraduate Studies (DUS) is seeking a Transfer Transitions Advisor. This is a full-time (1.0) 12-month, fixed-term professional faculty position. Posting # P01151UF. Closes April 12. Instructor – Counselor Education. OSU-Cascades in Bend, Oregon is seeking applicants for a full-time (1.0 FTE) 12-month Counselor Education Instructor. The successful candidate will be a counselor educator to teach in our graduate program in Counselor Education. Posting # P01129UF. Full consideration April 14. Closes April 17. Associate Dean. OSU-Cascades in Bend, Oregon is seeking applicants for a full-time (1.0 FTE) 12-month Associate Dean. This is an Administrator 1 level, tenured administrator. The Associate Dean will assist the OSU-Cascades Dean of Academic Affairs in leading the campus through a period of rapid enrollment growth, significant campus transition, and the expansion of academic programs. Posting # P01139UF. Full consideration April 14. Closes April 18. Instructor – Hospitality Management. OSU-Cascades in Bend, Oregon is seeking applicants for a full-time (1.0 FTE) 9-month Hospitality Management Instructor position. The successful candidate will have the important role of bringing hospitality experience and teaching practices to the new Hospitality Management program at OSU-Cascades. Posting # P01141UF. Full consideration April 15. Closes April 17. The College of Liberal Arts (CLA) at Oregon State University invites applications and nominations for the Director of the School of Language, Culture, and Society (SLCS). The Director leads a unique school of learners, teachers, and scholars in the continuing development of its shared vision. The Director supervises the School’s academic programs (Anthropology; College Student Services Administration; Ethnic Studies; Women, Gender, and Sexuality Studies; and World Languages and Cultures) and serves as chief administrative officer and advocate for the school as a whole. This is a full-time (1.0), 12-month tenured administrator position. Posting # P01152UF. For full consideration, please apply by April 17. Closes June 16. Registered Nurse- Student Health Services invites applications for a full-time (1.0 FTE), 9-month RN1. Posting #P00841CT. Closes April 24. NEW! Faculty Research Assistant – The Division of University Outreach and Engagement at Oregon State University is seeking an Faculty Research Assistant with the Juntos program beginning May 1, 2017 (with the potential for a second year renewal depending on the availability of funds). This is a part-time (.75 FTE), 12-month, fixed-term professional faculty position. Posting# P01161UF. Closes April 28. Corvallis: “It does good also to take walks out of doors, that our spirits may be raised and refreshed by the open air and fresh breeze: sometimes we gain strength by driving in a carriage, by travel, by change of air, or by social meals and a more generous allowance of wine.” ~ Seneca. Showery all week with lows and the 40s and highs in the 50s. Save your outdoor time until Friday when sun and a high of 61 are expected. Central Oregon: Rain and snow showers all week, highs in the 50s, lows in the 30s. Newport: Showers all week, highs in the 50s, lows in the 40s.